St. Ignatius Elementary is conducting a vision screening on Monday Nov. 5th with the help of the Lion’s Club. Each student in the elementary will have their eyesight checked and the results will be given to their guardians. 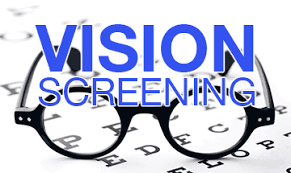 If you would NOT like your child to participate in this vision screening please sign below and return this form with your student by Friday, Nov. 2nd. You may also call 745-3811 ext 302 to opt out of this screening.